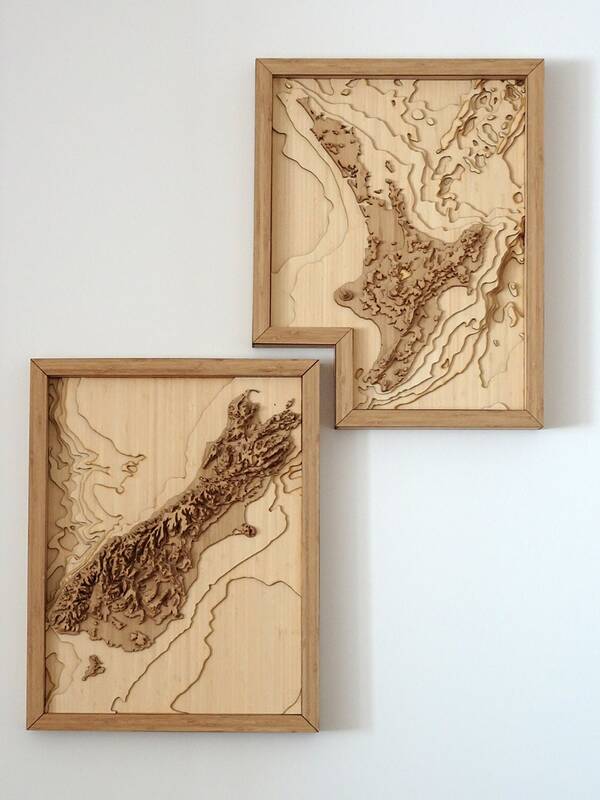 This large 3D wall decor consists of 2 pieces, showing the north and south Islands of New Zealand. 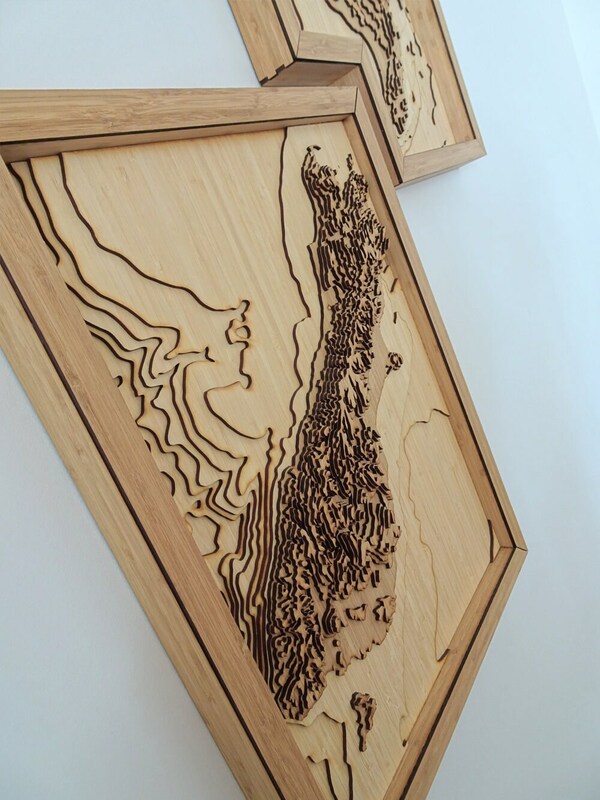 It has been digitally designed, laser cut, and artfully assembled by hand to create this impressive display. 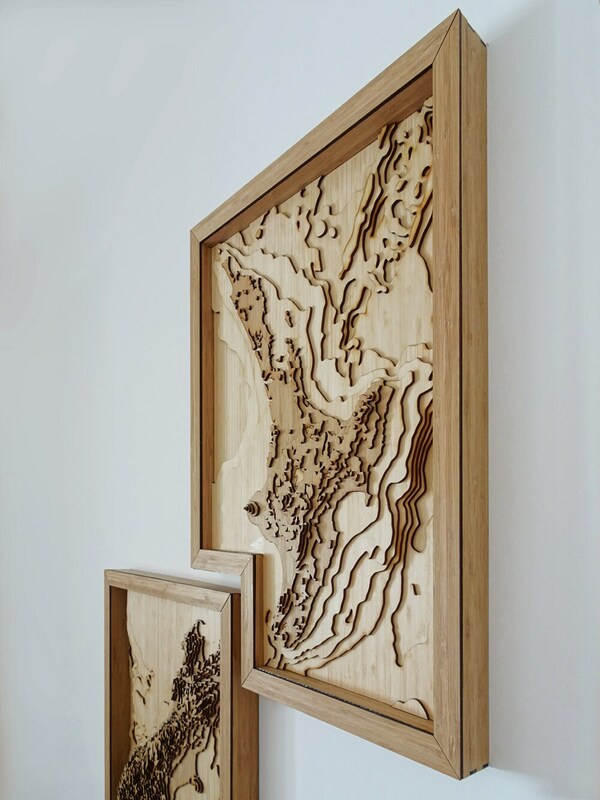 The map is made up of 2 different shades of bamboo wood, assembled in 14 different layers, which represent the actual land elevation of the islands (in dark wood), as well as the water depths of the surrounding oceans (in a lighter wood). 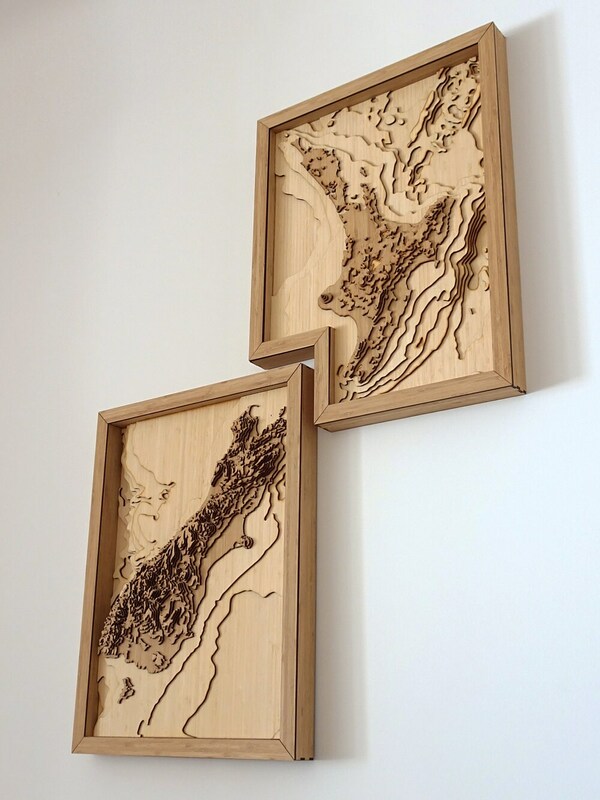 The two separate pieces are each 43 x 56 cm in size, taking up a total space of around 75 x 101 cm. 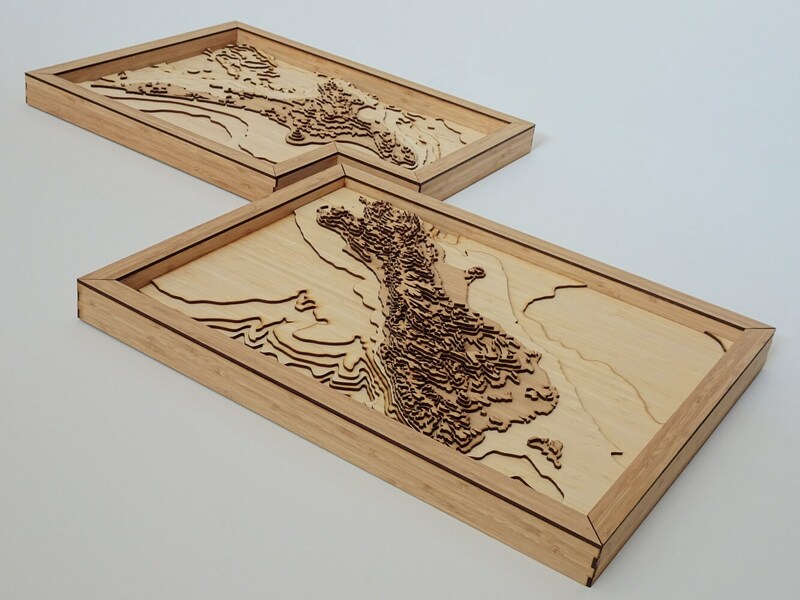 The maps have a depth of around 5 cm. 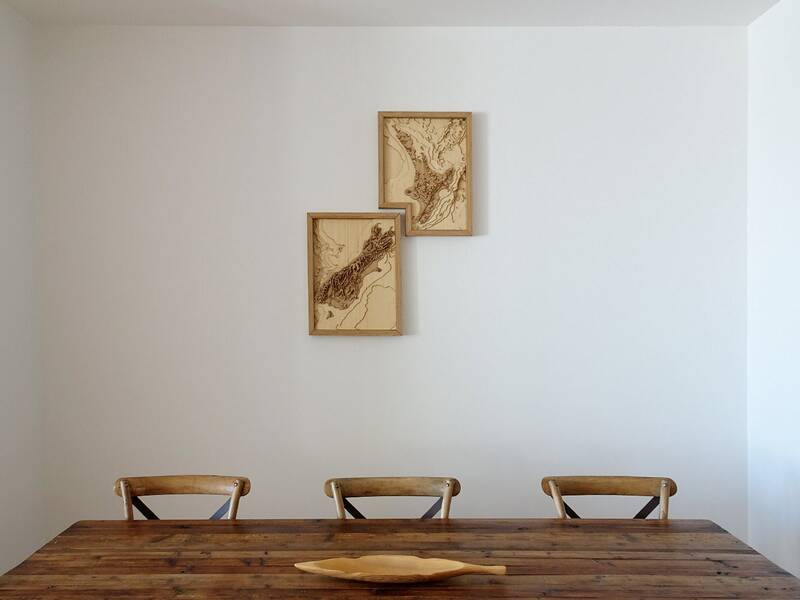 Given its size and style this wall decor makes for an impressive display piece for instance for a living room, entrance area, or lobby. We make each piece to order, so please allow around 2-3 weeks processing time from the date of purchase before your order is released for shipping. Delivery times can vary, though, and we recommend contacting us before ordering. 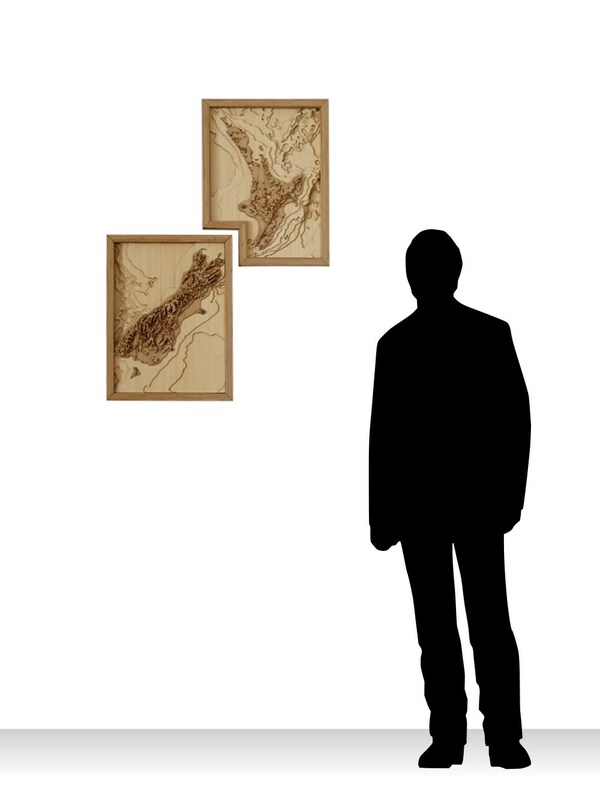 For shipping outside of New Zealand, please contact us.